Moisture is on the rise again this weekend, with the chance for isolated afternoon showers and storms each day and warm temperatures. Expect highs in the lower 90s Saturday. Isolated thunderstorms are possible, mainly inland. There will be a very low risk for rip currents. Moisutre will continue to increase Sunday. Expect isolated to scattered showers and storms to develop. Temperatures will be in the upper 80s and lower 90s. A typical rainy pattern is expected to persist through the work week. 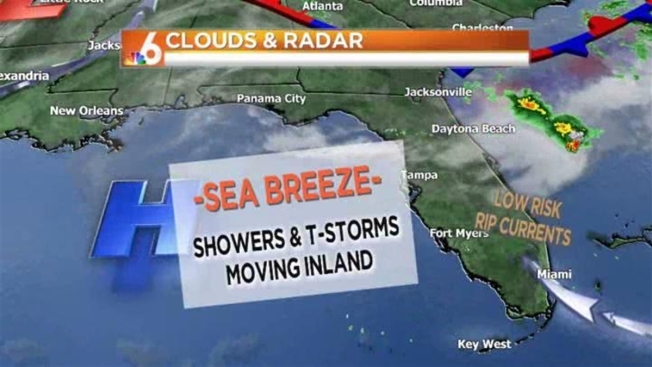 Expect scattered thunderstorms each afternoon, humid days and temperatures in the upper 80s.